Whether your grandmother is a Gigi, Nana, Oma or Grandma she is always love and warm hugs! My grandmothers given name was Rubie. Funny coincidence that her granddaughter became a jewelry designer. 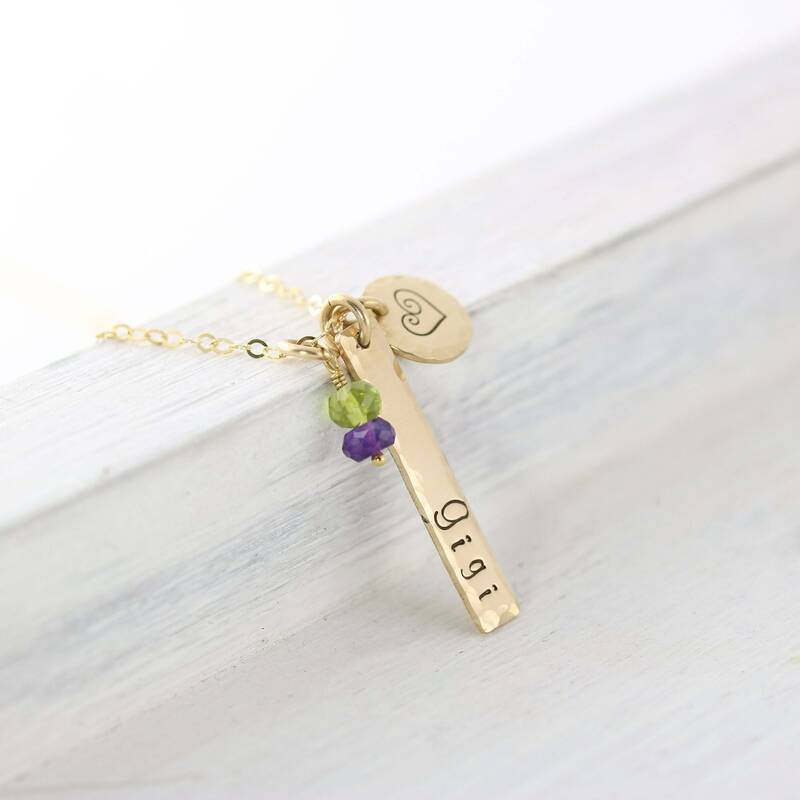 This Gigi necklace is the perfect gift for the grandmother in your life! The gold filled name bar with a hammered perimeter can be customized with any name, such as grandma, mimi, gigi, mom, meme, etc. Further personalize the necklace with the birthstones of all the grand kids. What grandmother or Gigi wouldn't love showing off her grand babies? The charms hang from a 14K gold filled cable chain.